The first Italian head of State visit to Angola. The entire supply of armchairs was made by Mascheroni. 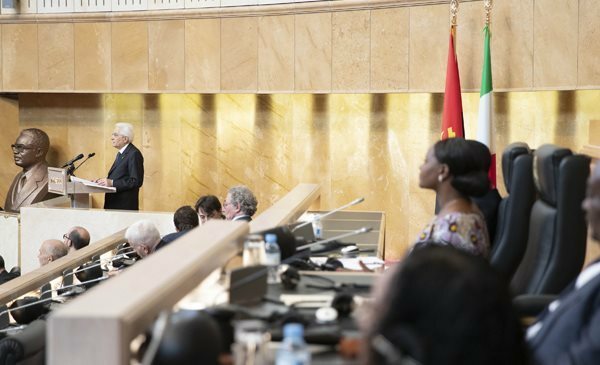 News & Events 2019 THE FIRST ITALIAN HEAD OF STATE VISIT TO ANGOLA. THE ENTIRE SUPPLY OF LEATHER ARMCHAIRS WAS MADE BY MASCHERONI.